Joining in a partnership, the Conservation District worked with Dingman Township to obtain funding through a PA Department of Environmental Education Grant to help fund educational outreach programs and informational signage for the Cornelia and Florence Trails at the Bridge Preserve property. The Boy Scouts, Dingman Township and Conservation District staff identified plants and installed signs just in time for the Township’s May 20 Bridge Preserve Celebration Day. 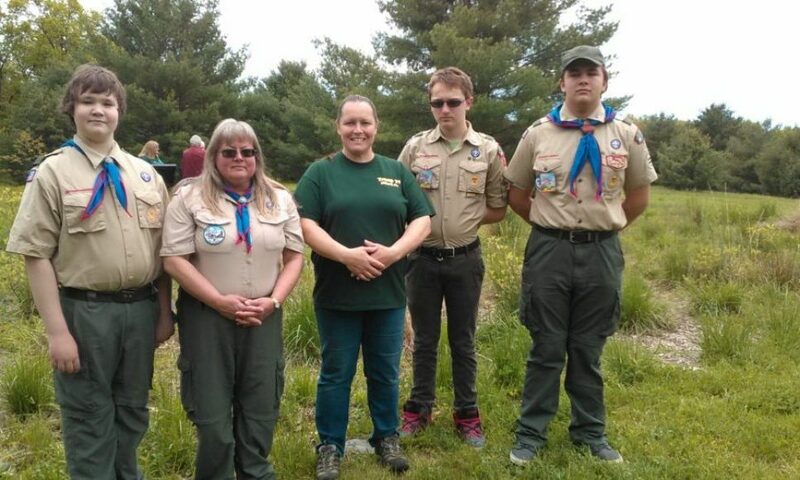 Pictured above are Leaders and Scouts from Milford BSA Troop #71 representing their Troop at the May 20 Bridge Preserve Celebration Day. The Scouts were recognized for their contribution by Dingman Township Supervisors Tom Mincer and Dennis Brink who provided Welcome and comments at the event. 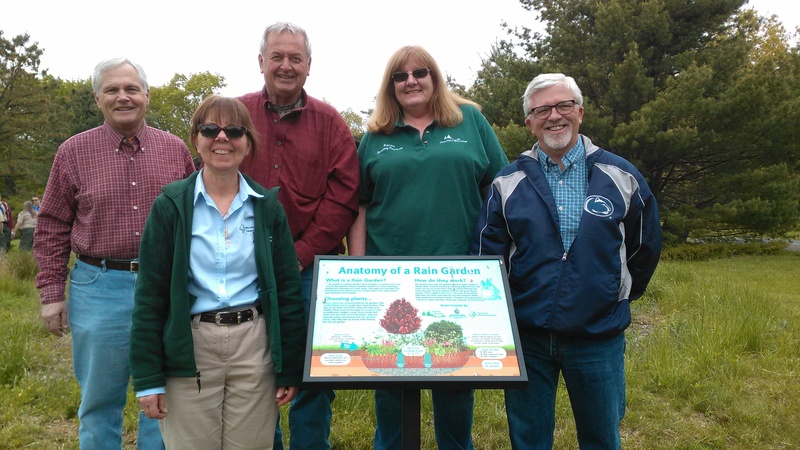 Pictured above is Pike County Commissioner Steve Guccini, PCCD Executive Director Sally Corrigan, Dingman Township Supervisor Dennis Brink, Dingman Township Secretary Karen Kleist, and Pike County Commissioner Matt Osterberg at the Bridge Preserve Celebration with a newly installed rain garden sign.